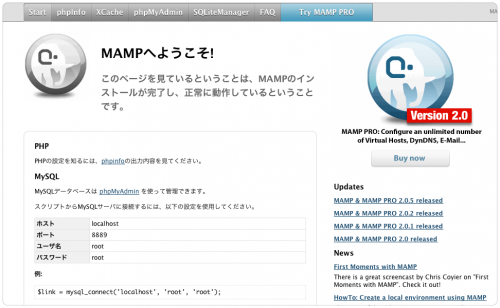 Tags: groonga, MAMP, mroonga, MySQL, 環境構築. Tags: groonga, mroonga, MySQL, phpmyadmin. Tags: groonga, Mac, MacPorts, mroonga, MySQL, インストールメモ. The mysql55 client has been installed. 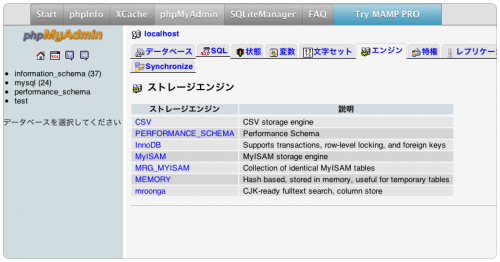 To install the mysql55 server, install the mysql55-server port. Please report any problems with the /opt/local/lib/mysql55/bin/mysqlbug script! ... ERROR! The server quit without updating PID file (/opt/local/var/db/mysql55/MacBook.local.pid). MacPorts base version 2.0.4 downloaded.